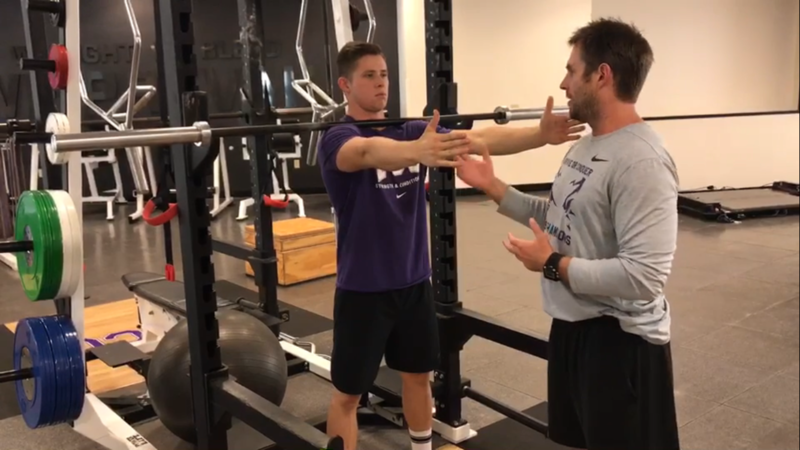 Zach has been in place since 2008 at TCU as the Senior Assistant Director of Strength and Conditioning. He oversees the development of Baseball, as well as the quarterback development for Football. Alongside these priorities he also handles the development and implementation of the Strength and Conditioning Internship Program. During baseball off-seasons, Coach Dechant trains a group of 30+ current MLB / MiLB Frogs. The pro Frogs spend 4 months back on campus training for the upcoming season. Previous experience to TCU has included two seasons with the Los Angeles Angels of Anaheim, two years at Missouri State University, as well as time spent with the University of Washington as an intern. Zach graduated with a Bachelor’s Degree in Health and Wellness from Missouri State University in 2003. He is certified through the CSCCa, NSCA, FMS-1 and the USAW. For more information, follow Zach on Twitter @ZachDechant.